We are coming to the end of the year, and in December we have a superb selection of new publications for you: Urtext editions, choral collections, instrumental music and practice aids. Have a look through our wide-ranging catalog! 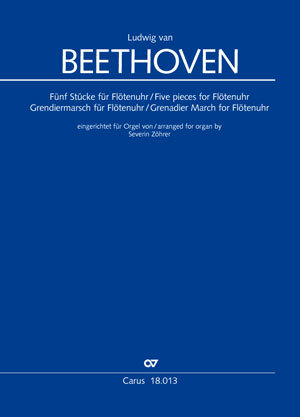 In preparation for the major Beethoven anniversary in 2020 we would particularly like to bring some new publications to your attention – Meeres Stille und Glückliche Fahrt (Calm Sea and Prosperous Voyage) for chorus and orchestra, and the charming Flötenuhrstücke, arranged for organ. Have fun browsing through and making discoveries! Beethoven’s Meeres Stille und Glückliche Fahrt (Calm Sea and Prosperous Voyage) op. 112 for four-part mixed chorus and symphony orchestra has now been published in a new critical edition based on the first printed edition and the performance score which Beethoven himself checked and corrected. Beethoven’s 250th birthday in 2020 will be an occasion for orchestras and choirs throughout the world to perform this famous work. 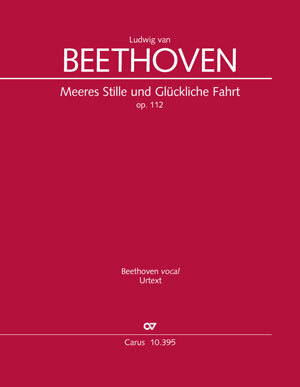 With the Beethoven vocal project, Carus-Verlag is making accessible Beethoven’s choral music. Organ music by Giacomo Puccini – almost completely unknown until recently. Only in the recent past have around 60 manuscripts of organ compositions by Puccini been rediscovered, most recently at Torre del Lago, Puccini’s home. Now these spectacular discoveries are available to the public in scholarly editions! The volume of works for organ in the Puccini ‘Edizione Nazionale’ has just been published by Carus, and was presented to the public on November 18th in Reggio Emilia, Italy. 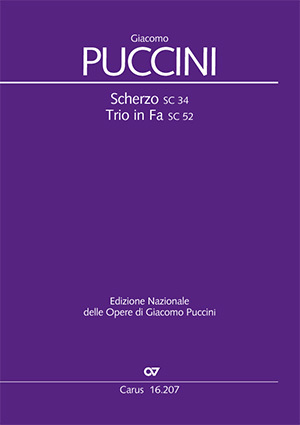 Until 2014, the Scherzo in A minor was known only in a version for strings (SC 34): This is the first critical edition of the Scherzo in its original orchestral version and the first edition of the Trio in an orchestration completed by Virgilio Berardoni. 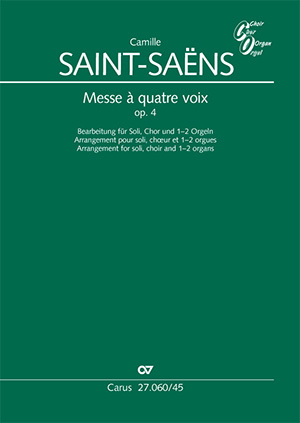 As an alternative to the original version of Saint-Saëns's early work Messe à quatre voix with large orchestra and Grand Orgue, Carus-Verlag is now publishing the version for organ made by Saint-Saëns’s contemporary Léon Roques. It contains the original part for grand orgue as well as an organ arrangement of the orchestral writing in score notation, but also provides for the possibility of a performance with just one instrument. The vocal parts (for soloists and choir) are identical with the edition of the original version, so that the vocal score and chorus score of that version can be used. Like almost all the great composers of Viennese classicism, Beethoven too wrote for the mechanical organ, an instrument which was very popular with the public in its day, controlled by a cylinder and equipped with organ pipes. His compositions for this instrument are included complete in this edition, carefully arranged for performance on a conventional organ. Innovative practice aids from Carus, available as CD (Carus Choir Coach) or app (carus music), offer ideal support and help choral singers to quickly learn new repertoire. 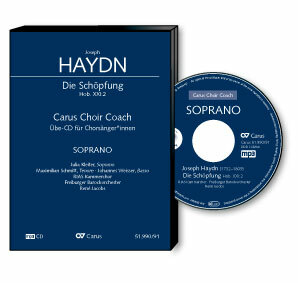 A new release in the series Carus Choir Coach is Haydn's Die Schöpfung (The Creation). The work is also available in carus music, the choir app. 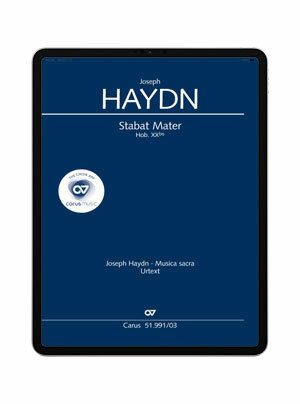 Also new in carus music is Haydn's Stabat Mater. 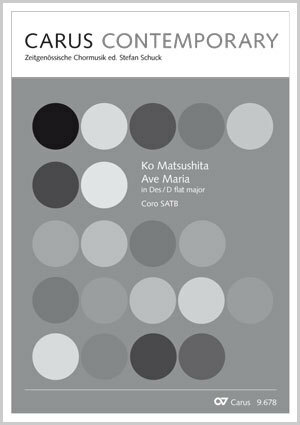 Ko Matsushita approaches choral music as a composer, conductor, and teacher in many different ways. 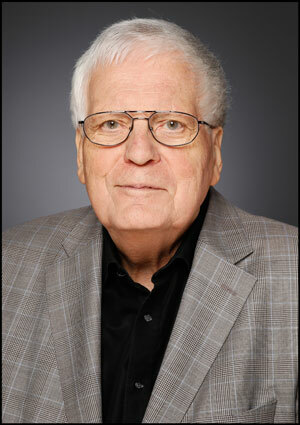 His choral works are performed worldwide. Matsushita’sAve Maria is a very intimate short unaccompanied piece of true inward devotion. 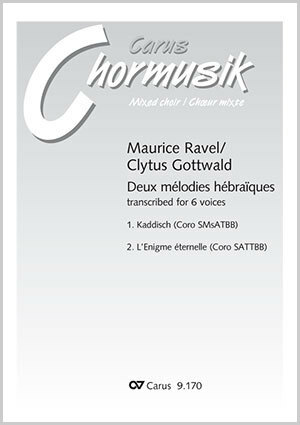 Another new publication is Clytus Gottwald’s arrangement of Maurice Ravel’sDeux mélodies hébraïques. Clytus Gottwald’s sophisticated arrangements for chorus a cappella have very successfully established themselves in the choral repertoire all over the world. The second volume in the series Canti con flauto features six songs from the 19th century for high voice, flute and piano in a new critical edition. 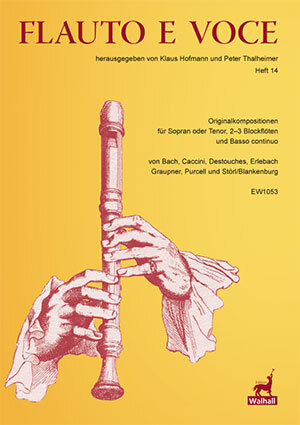 The Flauto e voce series has been continued by Edition Walhall from Volume XIII onwards.The new volume contains eight original compositions for soprano [d’ - g’’ (a’’)], 2–3 recorders, and basso continuo, edited by Klaus Hofmann and Peter Thalheimer. Prof. Dr. Klaus Hofmann is to be awarded the 2019 Telemann Prize by the City of Magdeburg. With this award, the State Capital is honoring his great commitment to the scholarly exploration and analysis of the works of Georg Philipp Telemann. 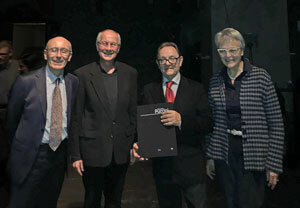 The selection committee’s citation reads: “As an editor and scholar with a wide and deep knowledge of many of Telemann’s compositions, Klaus Hofmann is one of the best and most exceptionally well-informed Telemann authorities of our time”. 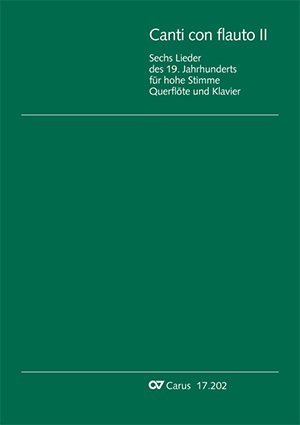 Many of Hofmann’s editions of Telemann’s works are published by Carus.